A new contemporary look for the iconic department store. 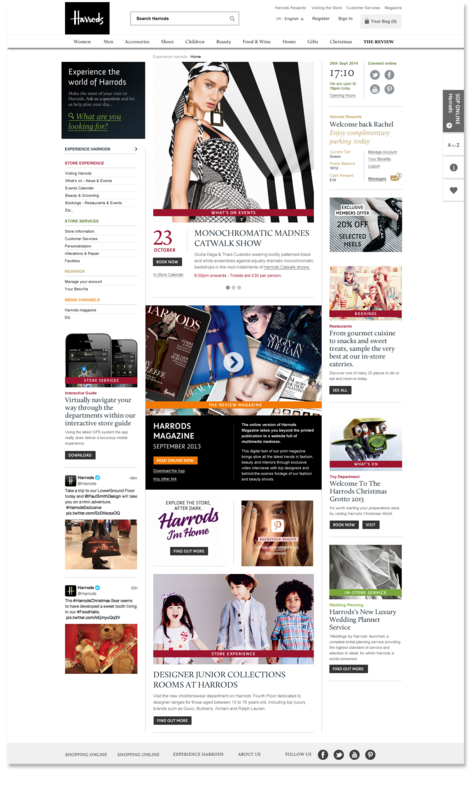 World-famous, high-end London department store Harrods asked Hawaii to reinvent the customer experience pages for its yearly online refresh. 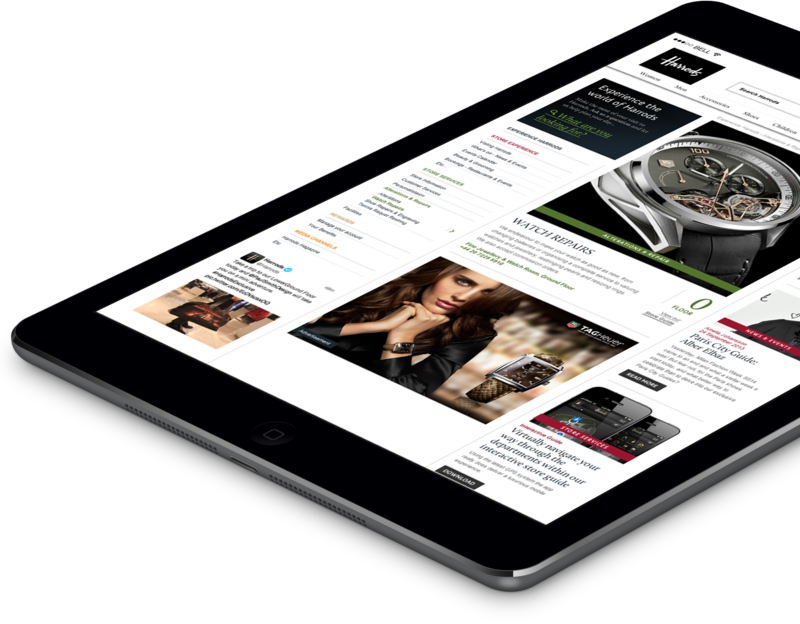 We came up with a fully interactive shopping experience and magazine-style journal that would engage users in both print and digital media. 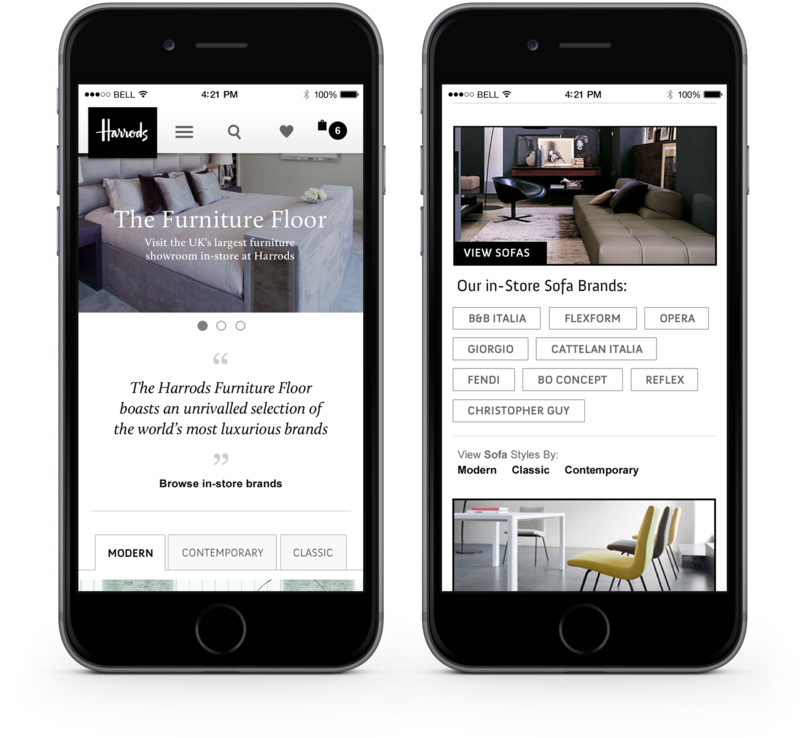 We also created visual styles and designed an intuitive navigation for the whole of the Harrods online experience, so each customer can search quickly for both products and services. 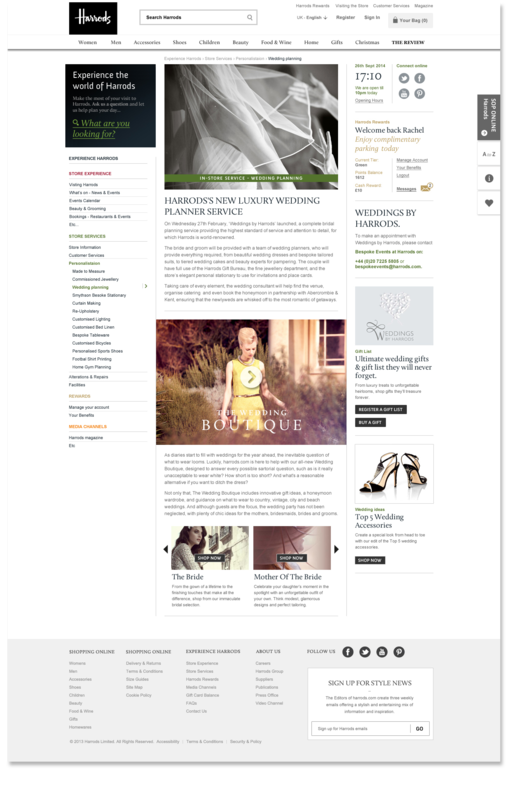 The website required a full overhaul. 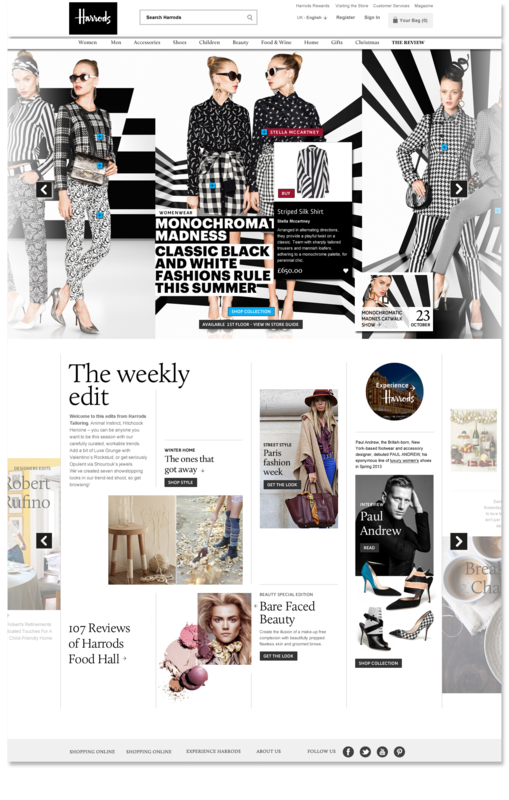 Starting with UX, we considered new ways for users to engage online. 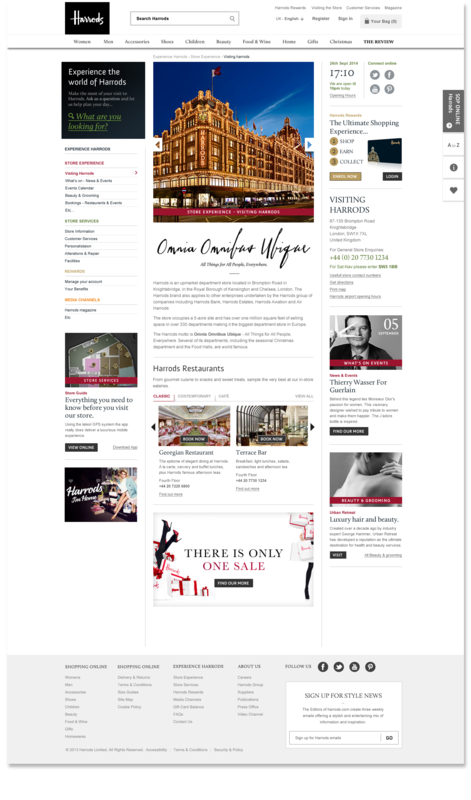 The Harrods monthly magazine and E-commence functionality became the focus of the home page with an ‘Experience Harrods’ area promoting events and in-store information. 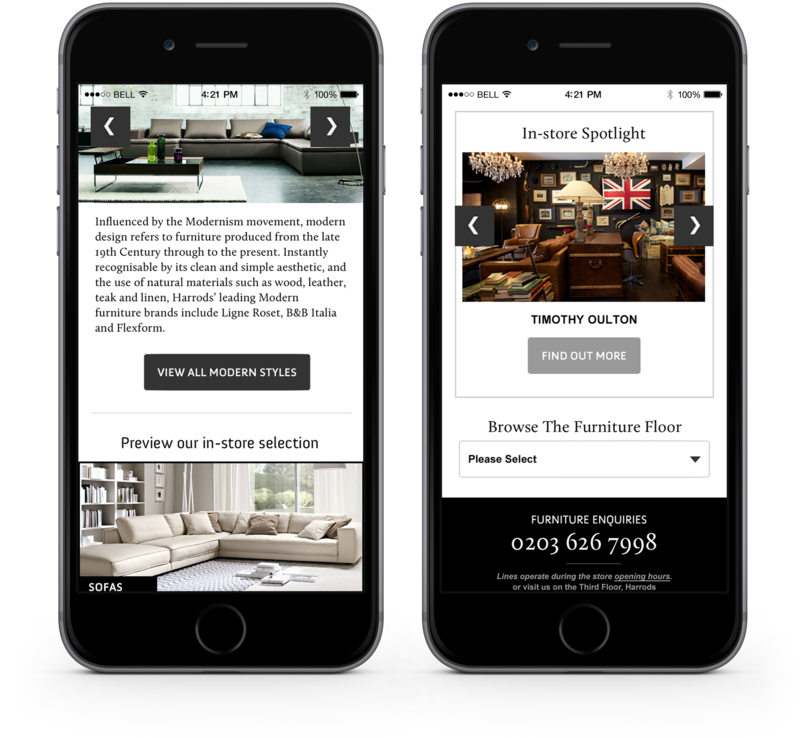 The ‘Experience Harrods’ website was turned into a useful and easy-to-navigate mobile app for anyone wanting quick reference for information about the store.